Welcome back to Remake/Remodel, the column where one of Treble’s editors or contributors takes a classic—if imperfect, to our ears—album, and proposes an alternate tracklist in an effort to provide a different, albeit highly enjoyable listening experience. 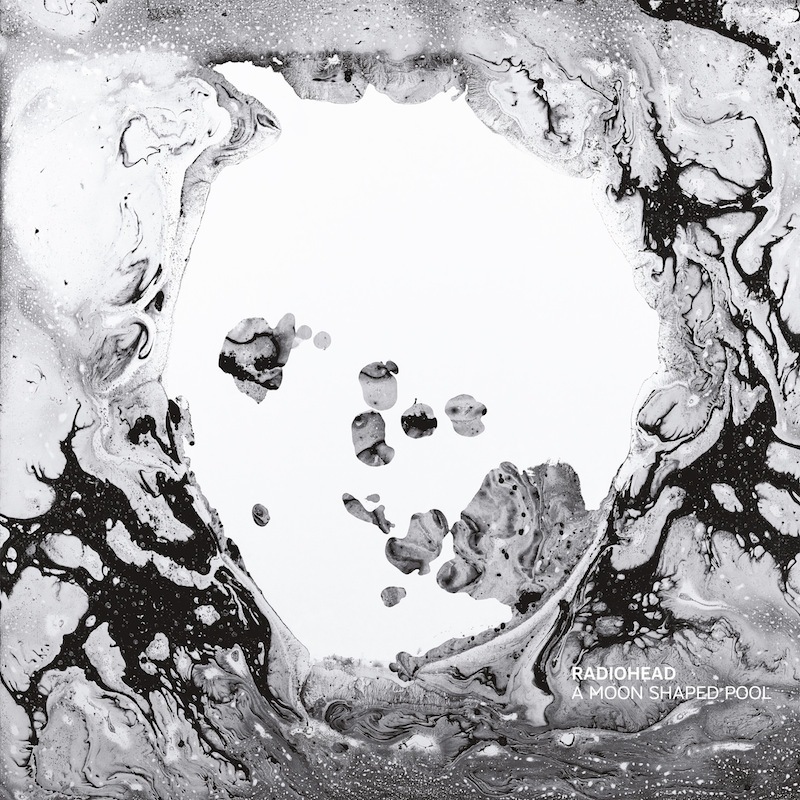 This week we tackle the latest release from Radiohead, A Moon Shaped Pool. Before we get into the whys, it’s important to put out the disclaimer that no, we don’t really think there’s anything wrong with the album. It’s definitely one of the best releases of the year, and we made it Album of the Week after it was released. So it’s not like Radiohead made a bad album. What Radiohead did with A Moon Shaped Pool was take a characteristically quizzical approach to presenting their art. The tracklist is presented in alphabetical order, and it’s unlikely I was the only one who found that a little odd—even frustrating. Considering several of these songs have existed for a long time, it’s unlikely that the track order came before the titles (not all of them anyway) which means the band either listened to the tracks in the default alphabetical order in iTunes or some other such program and liked the sequence of it, or they didn’t care, or they thought taking an unorthodox approach might decide for them. It’s probably somewhere in between, though I’d be inclined to guess the latter—something tells me it wouldn’t be the first time the band took an Oblique Strategy in creating something. The alphabetical version of the album works, but it’s not perfect. Certain things stand out as being a little peculiar. The first song, “Burn the Witch,” is the album’s most accessible, giving it a let’s-get-the-single-out-of-the-way kind of tactic. Then, second song “Daydreaming” totally kills the momentum built up after that first song. While neither song is bad—they’re both excellent, in fact—they feel random in the sequence, even though they’re clearly not. So now that the album’s on Spotify and we can show our work, here’s our attempt to make some sense of this left-to-the-fates ordering. Read and listen to our Radiohead A Moon Shaped Pool alternate tracklist below. A Radiohead album needs to begin with a big statement—a sense of drama—and “Burn the Witch” arguably already does that. But it seems a little off to begin the album with its most accessible pop song. There’s no need to bury it, but there’s also no rush to get right to it. “Decks Dark,” however, feels like an introduction—a slowly thawing piece of art rock that builds up from its misty beginnings into something powerful and dynamic. It’s moody and intriguing, not exploding so soon or so readily, but creating a sense of mystique. OK, now we can get to the pop song. And it’s not a bad little pop tune at that. I’ve heard more than a few complaints that it’s too much like Coldplay for comfort, but it’s fine to have one song with Top 40 appeal on an album full of meditative, moody and atmospheric songs. Might as well remind everyone that the band can sing for the people in the cheap seats, too. On the album’s actual tracklist, this slot is taken by “Daydreaming,” one of the sparsest songs on the album, and one that slows the momentum to a halt after one song. Both are excellent tunes, but this move allows some space before the hit and a few more peaks before we get back down to the valley. What immediately might seem like a step back into more insular territory is really only a red herring, considering the climax toward the end of “Identikit,” complete with a guitar solo. This is one of the most dynamic and soaring songs on the album, the arc of its brief journey a welcome one after the slow burn of the opener and the exclamatory burst of track two. With this track, the album maintains a sort of low key groove that’s neither Radiohead at their most restrained nor at their most bombastic. It’s a good cool down period as we approach the end of side one. I had some reservations about moving this track. It is essentially a perfect closing track, its gorgeously delicate arrangement a beautiful close to an album full of emotional torment and darkened moods. But it could also simply be the end of one side rather than the album as a whole, and paired with “Tinker Tailor” still flows much like it does on the original album. There’s a sense of closure still, but not finality. This song almost ended up as my opening track for this version of the album, which I still think isn’t so crazy of an idea. It feels like the beginning of something in a way, and in this case it’s the beginning of side two. The most overt rock song on the album, “The Numbers” is the kind of track that sounds as if it’s made for epic live performances. It’s one that adds a jolt of muscle to A Moon Shaped Pool, however, and it seems like a strong beginning for the second act. From a cursory observation of online Radiohead communities, “Desert Island Disk,” in an interesting bit of irony given the name, is near the bottom of the list in terms of fan preference. Yet I like the airy, folky sound of it, and it makes a nice bridge between two of the heavier tracks on the album. Like “The Numbers,” another draft of this album had “Ful Stop” as track one, and it’d still work I wager (I’m starting to think you could put the tracks on the album in any order and they’d work—well, that might be kind of extreme). But I find it particularly compelling as the penultimate track, its deep throbbing bassline and sense of tension and urgency leading to a powerful climax before the extended comedown. It’s hard for me not to draw a parallel between this song and “Motion Picture Soundtrack,” the orchestral closing track on 2000′s Kid A. They don’t sound much alike, yet structurally there’s something of a connection, particularly how “Daydreaming” similarly rises up into a powerful sequence of strings. It’s a song that feels more like an epilogue than an ending. “Ful Stop” is a big enough boom that “Daydreaming” here mostly feels like the smoke clearing, but it’s gorgeously orchestrated and closes with both finality and grace.